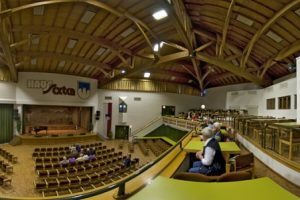 Since 1990 many international conferences in astrophysics have been organised at Sexten Pusteria, Bolzano, Italy. These conferences have been widely appreciated by the international astronomical community. Building on this tradition, in 2008 we have set up the Sexten Centre for Astrophysics (SCfA).A fairly large number of researchers around the world now consider Sexten as one of the key venues where to meet colleagues and shape new scientific collaborations. The international community is welcome and has the opportunity to propose and organise workshops at SCfA which will be evaluated by the Scientific and Organizing Commitee. Normally, there is a registration fee. The SCfA is promoted by the Sexten Touristic Association, the Sexten Town Council, with the scientific sponsorship of the National Institute of Astrophysics (INAF), the National Institute for Nuclear Physics (INFN) the Italian Space Agency (ASI), the Trieste University, the Ferrara University, and the Consortium for Physics of Trieste. 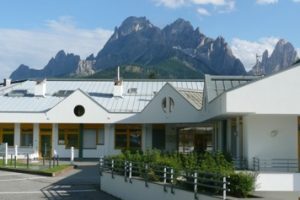 The main aim of SCfA is organising and hosting every year small and medium-size workshops and schools, in order to offer to scientists, working in the fields of Astrophysics, Cosmology and Physics, the opportunity to meet in an informal environment and to carry out collaborative work, surrounded by the spectacular view of the Dolomites. 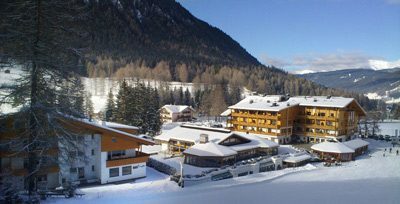 The venue of the Center in summer is the building of the Primary School of Sesto, which has been kindly offered by the Sexten Town Council and the School Authorities, while in the other seasons is the Sport & Kurhotel Bad Moos. For each workshop or school, we foresee a maximum of 40 participants in summer, and up to 60 participants in the other seasons. Moreover, it is possible to organize conferences with more the 60 participants at the Congress Hall Haus Sexten.